Since I still have time, I thought I’d start another, more intricate quilt. Sometimes sewing squares gets a bit boring. 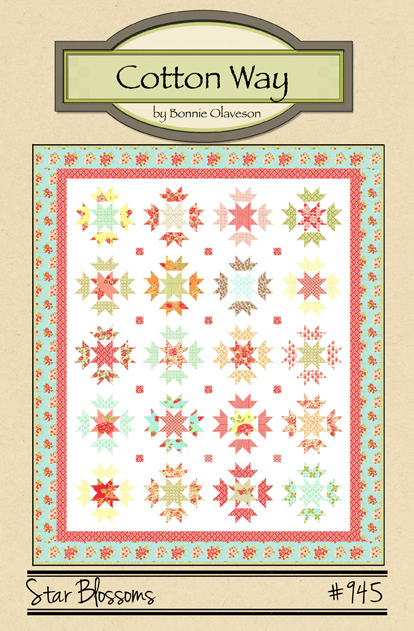 Enter “Star Blossoms” by Bonnie Olaveson of the fabulous Bonnie & Camille team. However, I’ll be using Flora fabric by Lauren + Jessi Jung. Gee, lots of Mother and daughter teams! This is going to be another one of those quilts that takes a few days just to cut the fabric, so many little pieces not quite as many as my beloved Parcheesie quilt! 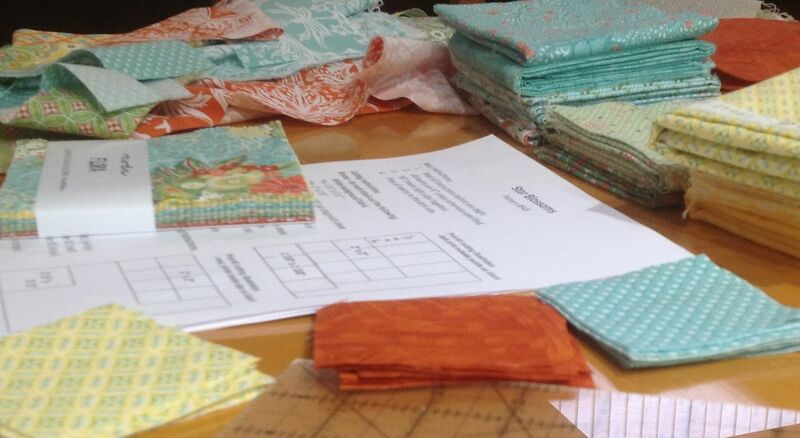 Still no news on my Grace Start-Right queen quilt frame and Juki TL-2000Qi, I’ll continue to keep you posted. Other than that, nothing else is new. What are you working on? This entry was posted in Fabric, Quilting and tagged Bonnie & Camille, Flora fabric, Grace Start-Right, Juki TL-2000, Lauren + Jessie Jung, Star Blossoms Quilt Pattern by Tabatha. Bookmark the permalink.